Categories: Office & Business, Multimedia & Design. Tag: Aiseesoft. 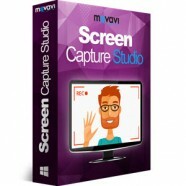 The screen capture software helps record almost any digital video you want to save. 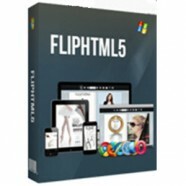 You can use it to grab online videos, capture streaming videos and make video tutorials, etc. 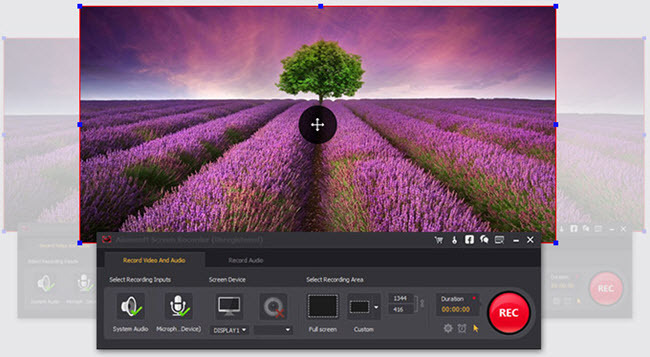 Before capturing, you can choose to record in full screen or in customized size. Also you can highlight the cursor movement to make your operation easier to track. With our “Blue-light” real-time HD video encoding technology, it will ensure you excellent image and sound quality. 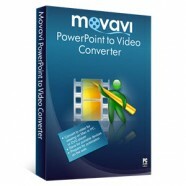 And the recorded video will be saved in MP4 or WMV for your easy watching with your VLC player. 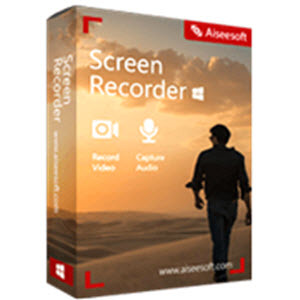 Apart from videos, Aiseesoft Screen Recorder can also record audio on your computer, including the system audio and microphone audio. You can decide to record the system voice or the microphone voice or both of them. Any audio files played on your computer, or voice received by the microphone on your computer can be recorded. This function enables you to record various music, radio or online audio instead of downloading them. You can save the audio recording on your computer in MP3/WMA/AAC/M4A for easy playback.